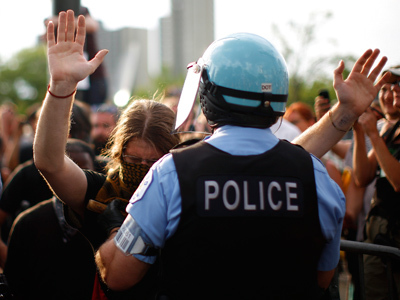 On the last day of the NATO summit in Chicago, the bloc’s leaders have reaffirmed their commitment to ending the war in Afghanistan in 2014 and vowed support to the Afghans. But is it going to be the end of the occupation? Afghanistan dominated the two-day summit in Chicago that brought together more than 50 nations, including 28 NATO countries, as well as the Afghan leader, Hamid Karzai, and Pakistan’s President Asif Ali Zardari. “As transition of security responsibility is completed at the end of 2014, NATO will have made the shift from a combat mission to a new training, advising and assistance mission, which will be of a different nature to the current ISAF mission,” NATO said in the Chicago Summit Declaration on Afghanistan. The document also vowed to provide a “sound legal basis” for the new NATO-led mission, such as a UN Security Council Resolution. Obama called the transition “the next milestone'' in bringing the near 11-year long war to an end. 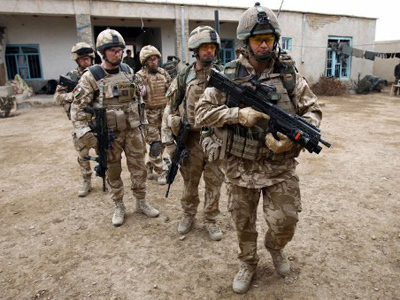 NATO stated that the preliminary model of the Afghan National Security Forces envisages a force of 228,500 with an estimated annual budget of US$4.1billion. However the Afghan situation in reality seems to be less optimistic than the Chicago summit suggested. 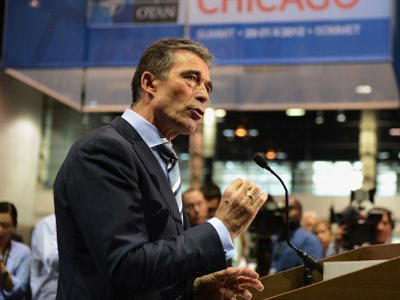 NATO’s chief Anders Fog Rasmussen acknowledged that enormous progress must be made for their plan to become a reality. Last month, Obama went on a secret trip to Afghanistan where he signed an agreement pledging US financial and military support to the country for 10 years beyond the 2014 withdrawal. The US president also thanked other nations in Central Asia and Russia for their roles in providing “critical transit'' for supplies, though pointedly made no mention of Pakistan, highlighting tensions between Washington and Islamabad. Pakistan closed the supply lines in November following a US airstrike that killed two dozen Pakistani soldiers. However NATO chief has said at a summit that he is optimistic Pakistan will reopen the supply route to Afghanistan. Rasmussen said he expected such a move "in the very near future". The United States has indicated that it is not willing to pay for the whole mission and invited other NATO members to contribute, and they’re expected to provide about US$1.3 billion. Around US$1 billion of that has already been pledged, a senior Western official said Sunday. Meanwhile public frustration with the long lasting war is growing in NATO countries. Sixty six percent of Americans oppose the war, while only 27 percent support the effort, according to an AP-GfK poll released this month. 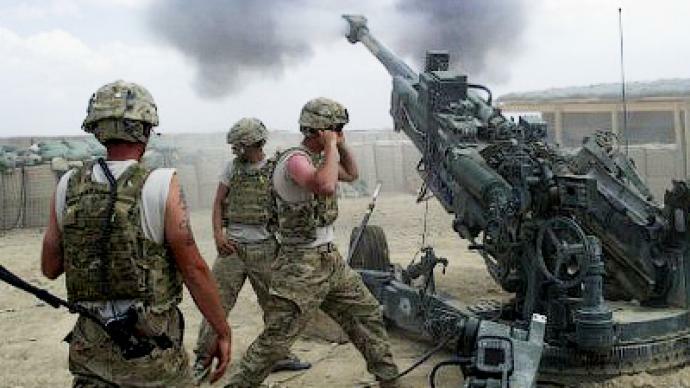 The US, Germany and NATO are not intending to give up Afghanistan, a resource-rich, strategic part of the world, for a very long time, believes Brian Becker, the director of the ANSWER anti-war coalition. “NATO forces and the US are in the process of rebranding what they anticipate will be a long-term occupation, going way beyond 2014,” he told RT. “What we’re looking at is a different form of US and NATO presence in Afghanistan,” says political analyst and writer Rick Rozoff. “It is clear that NATO wants to expand its military presence throughout Central Asia as well as maintaining some sort of presence in Afghanistan,” he told RT. “The unprecedented insurgent assault on Kabul in April suggested that the Afghan government cannot even protect its own capital, much less the country as a whole,” Rozoff said. The newly-elected president of France, Francois Hollande, stressed at the summit that he will stay committed to his campaign pledge to pull his country’s 3,300 troops out of Afghanistan and that he is going to meet the expectation of his supporters and go ahead with the troop withdrawal by the end of 2012, a year earlier than originally planned. He said on Monday his country had done "more than its duty" in Afghanistan and denied that France would have to make any kind of payback for pulling out. "There is no compensation to pay or even to be thought of. We have done more than our duty and I remind everyone of French losses: 83 men lost their lives, there have been numerous wounded," Hollande told journalists. "We consider our mission in terms of action and combat is finished." 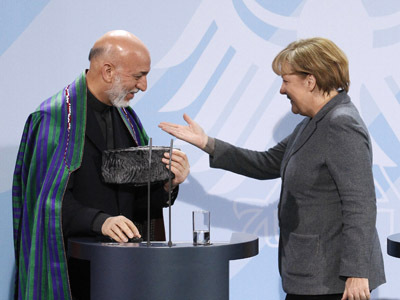 France’s decision sparked tension among the allies during the summit, with German Chancellor Angela Merkel stressing: "We went into Afghanistan together; we want to leave Afghanistan together." Meanwhile the security threat remains in Afghanistan as the Taliban and its allies have warned that they are waiting to fill the void after NATO leaves. Also during the summit NATO chief announced that the European missile shield is up and running with “interim capability” to shoot down incoming missiles. Earlier Russia voiced strong concern over the issue. The "interim operational capability" declared by Rasmussen on Sunday is the first step to fulfilling the controversial scheme to defend the whole of Europe against ballistic missile attacks.